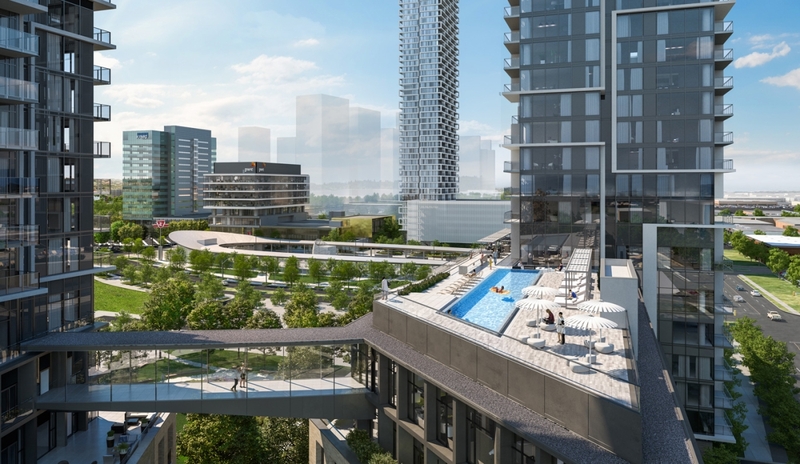 Following on from the record-breaking sales of TC4 at the beginning of April, CenteCourt Developments is set to launch the hotly-anticipated fifth phase: TC5 Condos at Transit City. The demand for units at Transit City has been unprecedented. Last year, phases one, two and three sold out quicker than any development previously seen in the GTA. The demand continued with the launch of TC4, the fourth phase, last week. With all units selling in a matter of hours. The combination of affordable prices, large units, and proximity to the subway has made this an enticing project for buyers and there is little doubt that the high demand will continue for the firth phase. With units TC5 Condos also anticipated to sell quickly, you can improve your chances of securing one of these prized suites by registering with us. TC5 Condos is part of Vaughan Metropolitan Centre – the masterplan that is creating a new downtown core for Vaughan. The plan forsees a huge area from Jane Street to Highway 400 that will contain residential, commercial and retail buildings, as well as a huge park in the centre of the neighbourhood and community services such as the large cumminty centre being built at Transit City. Of course, one of the main features is the fact that the new neighbourhood is connected to Toronto via the subway. The new station at Vaughan Metroplitan Centre opened its doors in 2019 and will be just steps away from TC5 Condos, allowing residents to reach downtown Toronto in around 40 minutes and making TC5 Condos an ideal spot for commuters.